How is it already the last few days of 2016!? I feel like this year simultaneously dragged on and flew by at the same time. I for one and so ready to bring in the new year and get a fresh start. This Pomegranate Rosemary Spritzer is the perfect way to bring in the new year! It’s full of fruity and earthy flavors that make for a unique and delicious way to toast the end of the year! Personally, it’s been a year full of travel which I am so thankful for. 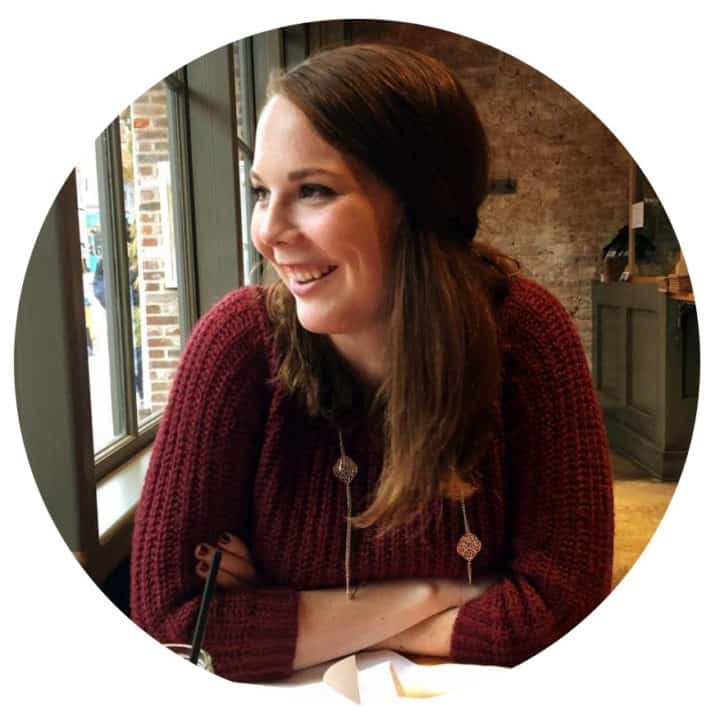 Between my day job and personal travel, I’ve been able to visit 3 countries, over 20 states, and countless cities in between. 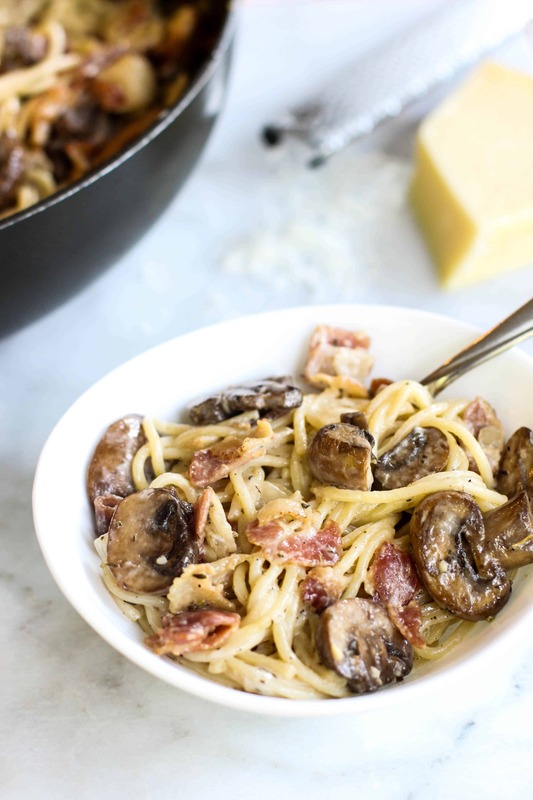 I’ve toured a lot of breweries, eaten at a lot of amazing restaurants, been inspired to make some great food, and have probably gained a pant size from the combination of it all. I’ve loved every minute of it, but the thing I am the most grateful for has been this holiday down time with family, friends, and my boyfriend. Some time to unwind and relax has been incredible and, luckily, there’s still a few days more of it! 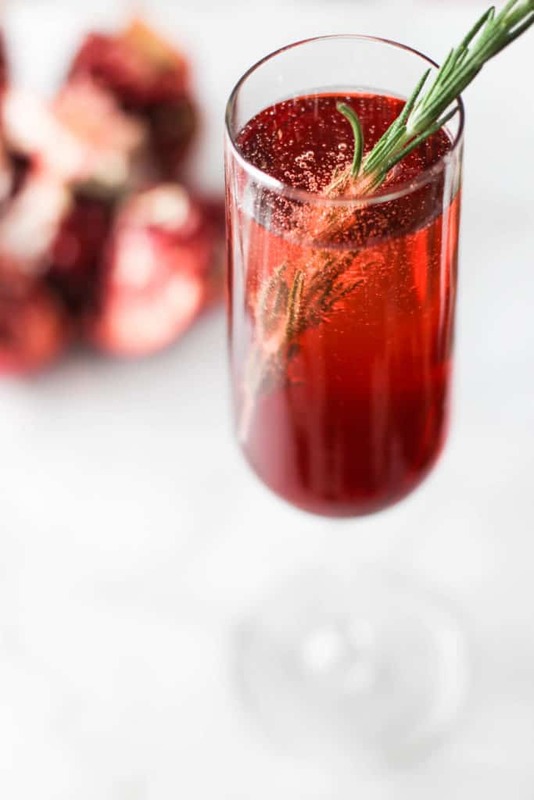 I wanted to create something that very obviously represents the holidays and, to me, this Pomegranate Rosemary Spritzer nails it. I’ve never made a drink with herbs in it before so I thought that rosemary would be a great place to start just because it reminds me so much of holiday greenery. 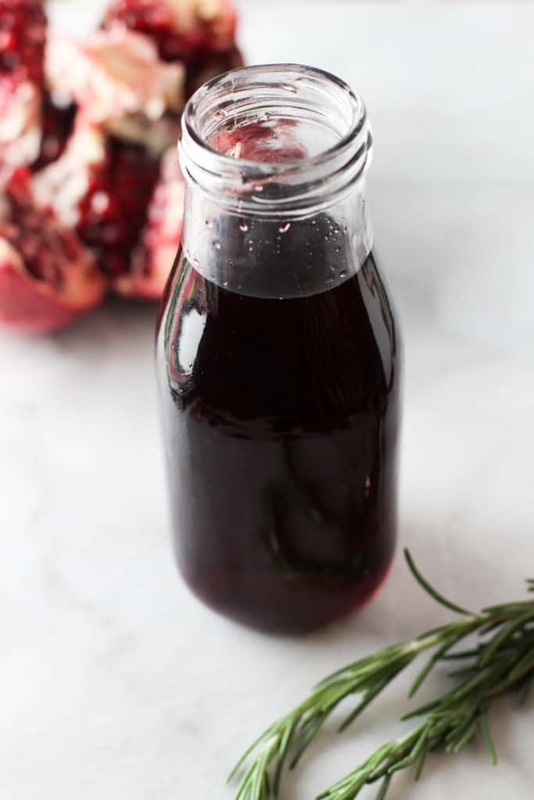 I’ve seen a lot of drinks with rosemary simple syrup, but I wanted to add something a little fruity so I went for my go-to pomegranate juice. The result was this herby, fruity pomegranate rosemary simple syrup which I love. Think grenadine, but with a kick of the holidays. I’m a huge fan of this drink, but I will say that if you add too much syrup and let it sit too long, the last few sips with 100% just be straight simple syrup. It’ll give you that really cool separation of color effect, but that’s all that leaving your drink too long will be good for. So with that in mind, add enough syrup to your tasting, I’d start with about 1 oz to 6 oz of champagne. 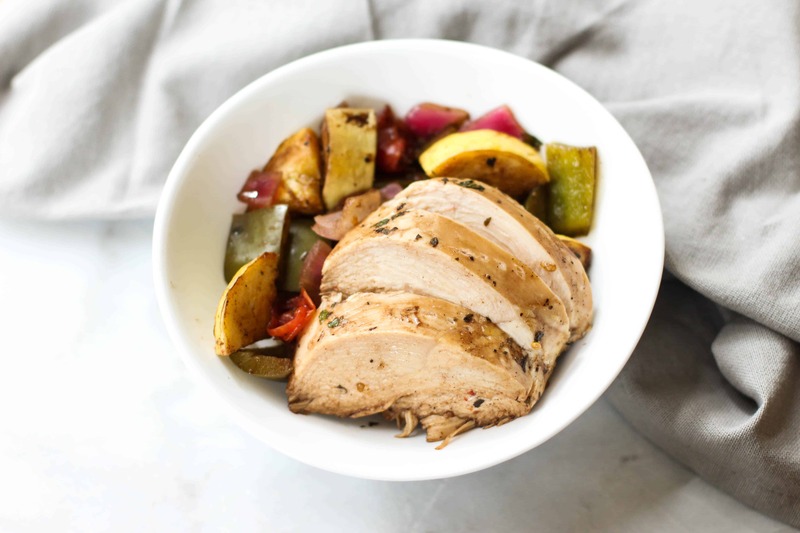 It’s got a strong flavor of rosemary so if that’s something you’re a little skeptical of, go with 0.5 oz first. You’ll get the smell of the rosemary and a hint of pomegranate without it being too overpowering. With all that being said, cheers to you and to a new year! I hope to see you around these parts in 2017! 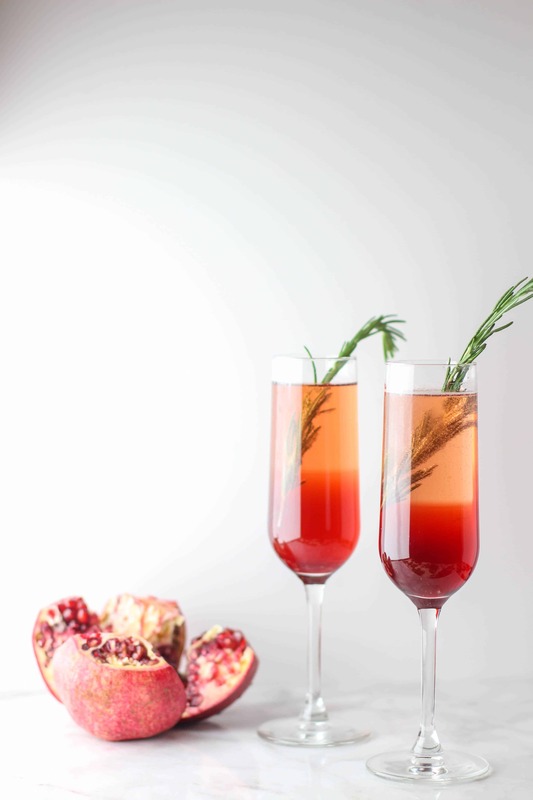 This Pomegranate Rosemary Spritzer is a fruity and herby take on a typical toast! 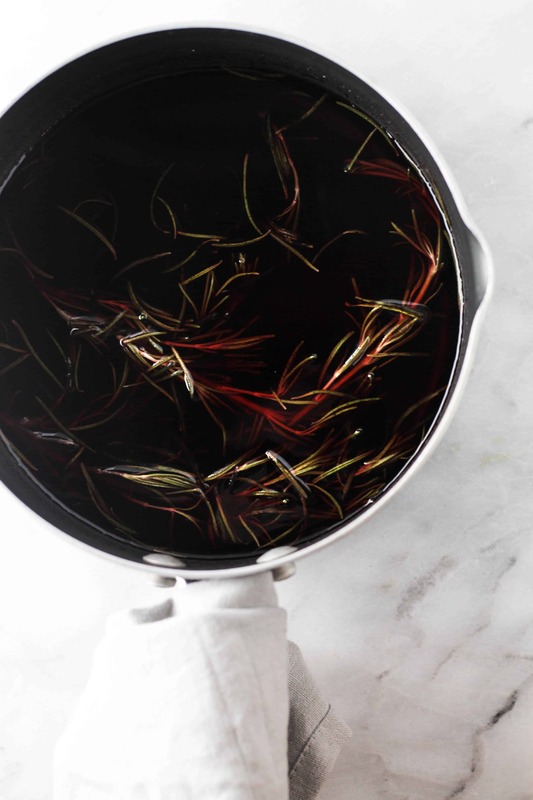 To make Pomegranate Rosemary Simple Syrup: Add in pomegranate juice, sugar, and 2-3 sprigs of rosemary to a small pot. Bring to a boil and stir to ensure all sugar has been incorporated. Remove from heat and let cool completely. Strain rosemary sprigs from syrup. Makes about 12 oz of simple syrup. 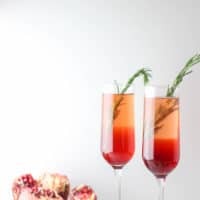 To make Pomegranate Rosemary Spritzer: Pour simple syrup into a champagne flute and top with champagne. Add rosemary to garnish and serve immediately.